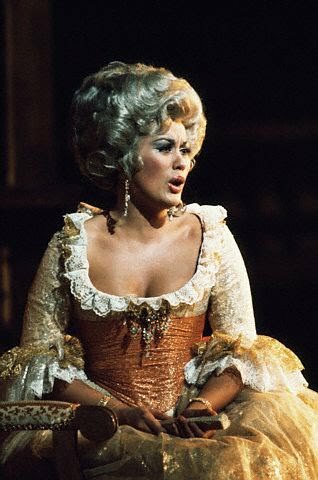 I've been watching and listening to Kiri Te Kanawa on Utube recently, finding her apparent lack of physical effort, beautiful tone and elegant phrasing fascinating. She's had a 40 year career and still has the 'goods' as a recent posting in October '09 reveals. Curious about her vocal training, and after some digging, I found two voice teachers that figured prominently in her development: Vera Rózsa and Sister Mary Leo. 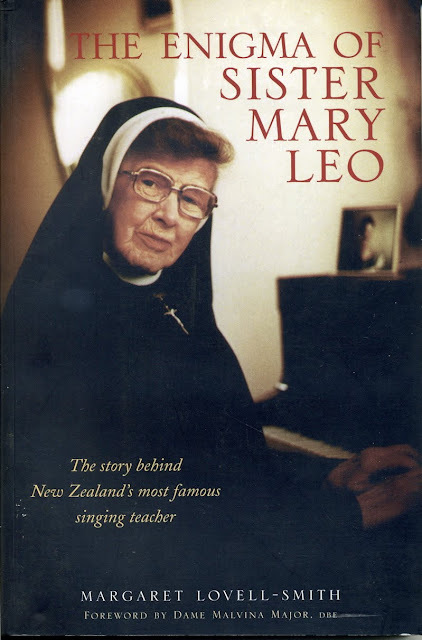 Te Kanawa pursued vocal studies with Rózsa in London after receiving instruction from Sister Mary Leo in New Zealand. 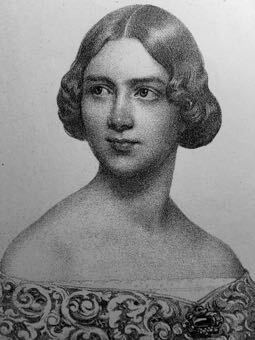 Sister Mary Leo gave Te Kanawa the technical foundation that Rózsa later developed, bringing out the upper range which catapulted Te Kanawa to fame as Countess Almaviva in Mozart's Le Nozze di Figaro. This - and more- I learned from Margaret Lovell-Smith, the author of a very curious book entitled The Enigma of Sister Mary Leo. ...no one knows how tone is produced except the Lord himself. We're all working in the dark. I don't know whether it's produced by the vocal chords or in the sinuses, but I take the sinus method because I think I've had more success that way. One of her basic principles was the idea of "thought notes', which she stressed along with breathing and support. These were tones that were sung with the thought of the frontal sinuses of the head. She would instruct her students to put a finger on the bridge of the nose and imagine the sound "floating out above it or from between the eyes." 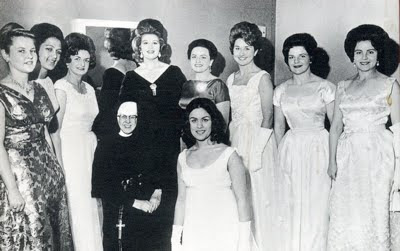 In Sister Mary Leo's words, she used her 'sinus teaching' to get a 'head tone' which gave a youthful tone or ring to the voice that was not achieved by singing 'down there in the vocal cords'. She gave her pupils a lot of exercises aiming at developing their head tone, including imagining the voice exiting through the forehead, or thinking of the notes floating in the head. She also asked them to imagine the sound coming from the top of the head, down the nose and pulling the sound down to 'hit the floor'. 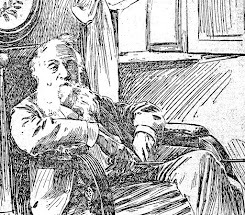 It was singing with the head tone which produced the pure, bell-like, almost disembodied kind of quality in the upper register that was evident in many of her students' voices. Sister Mary Leo's instruction to 'draw it in, draw it in' is in keeping with the 'old Italian school' expression inhalare la voce, also translated as 'inhale' or 'drink the tone'. It's a concept that I have found in many places, one being the Marcella Sembrich Papers at the New York Public Library in a document titled Reflections of a Concert Singer (1928) by a unnamed student of Sembrich, perhaps Alma Gluck or Louise Homer, who's notebook from lessons with Sembrich makes for fascinating reading. 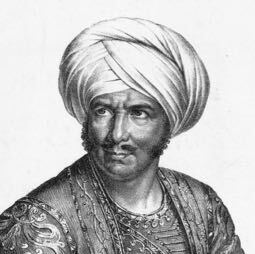 Madame Sembrich studied with Francesco Lamperti and his son Giovanni Battista Lamperti. And Sister Mary Leo? Margaret Lovell-Smith places her teaching firmly within the "tradition of the Italian school of bel canto singing", tracing it back to Manuel Garcia through Leo's lessons (her birth name was Kathleen Niccol) with the New Zealand contralto Irene Ainsley, the latter having studied with the famous Nellie Melba, as well as Melba's teacher Mathilde Marchesi, herself a student of Manuel Garcia. Lovell-Smith speculates that Sister Mary Leo may have also had lessons with Melba's first teacher, Madame Christian, a Sister of Charity and student of Manuel Garcia, who established the Garcia School of Music at Potts Point in Sydney, since Leo traveled there in the early 1920's. 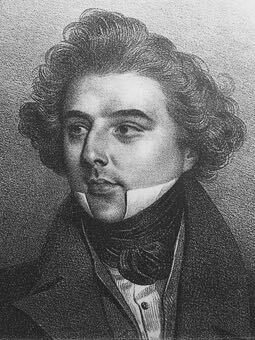 Whatever the source, Sister Mary Leo's instruction, like that of Marchesi, produced many successful singers- all of them women. The question I am asking myself after reading this book is this: Did the Garcia and Lampert schools teach the "voice placement" taught by Sister Mary Leo? 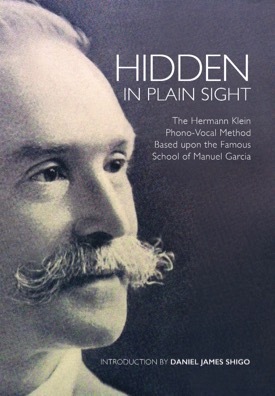 My own connection with the Garcia School via the teaching of Margaret Harshaw suggests that they did, though you will find little reference to this aspect of vocal pedagogy in a primary source (you will, however, find voice placement written about in detail in Hidden in Plain Sight: The Hermann Klein Phono-Vocal Method Based upon the Famous School of Manuel García (VoiceTalkPublications, 2013). Sister Mary Leo's methods are remarkably similar - and in some cases identical - to that of Margaret Harshaw, who also taught her students to sing from the bridge of the nose. Fascinating. 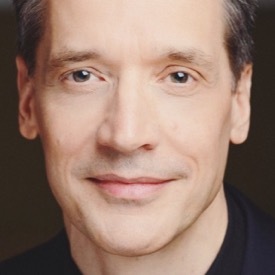 Many great vocal teachers have lived and worked in relative obscurity. Apologies for the exceedingly late reply, but thank you for your comment, Kamilla May!